This entry was posted in Beauty on August 30, 2016 by Dave. 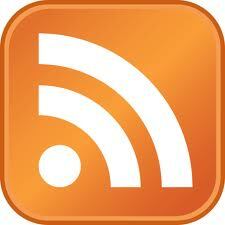 Thanks to Diana Bridgman for sending the following video my way. Why Trump is a fragile narcissist. How Trump is different than the quiet, but self-confident Iraqi veterans. Teddy Roosevelt had a much better national and masculine vision for men than Trump. Liberals want to expand government to increase equality. Conservatives want to shrink government to expand freedom. In American history, there is a third option. Government has become more of a profession and is no longer a vocation. Two ways to govern: authoritarianism and allowing the political process to work. Many are disgusted by the messiness and compromise of the latter, so they would gladly embrace the former. Trump is like Aaron Burr. This interview ends with a poignant self-reflection by David Brooks. This entry was posted in Character, Politics on August 29, 2016 by Dave. ONE SENTENCE IS WORTH THE PRICE OF THE BOOK! My subject line sounds ridiculous, but one sentence is full of so many implications I felt comfortable putting it down. I have never read anything quite like it in my thirty plus years of reading theology books. The sentence comes from the author’s doctoral supervisor, Donald MacKinnon: “He speculated what Christian theology would been have like if in its formative centuries it had paid more attention to the tragedies of Aeschylus, Sophocles, and Euripides than to the philosophies of the Stoics, Plato, and Aristotle.” Chew on that for a few moments. 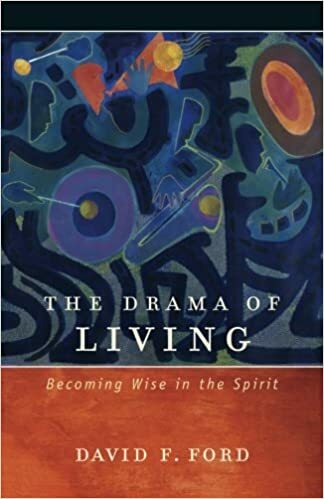 Fortunately, David Ford’s book, The Drama of Living: Becoming Wise in the Spirit, is full of many arresting insights that you still ought to consider reading the entire book. Ford has two conversation partners in this book: the Gospel of John and the poetry of his dear friend, Micheal O’Siadhail. It is a lively exchange throughout this marvelous work. I should say up front that my high praise for this book does not mean I agree with everything Ford writes. When it comes to working out a distinctly Christian theology, Ford strikes me as too deferential to other religious traditions. Granted, we can learn much from those with whom we disagree, something that Ford has modeled himself. However, the scandal of the cross gets lost amid Ford’s irenic and inclusive approach. Nevertheless, there remains much to gain from a discerning read of The Drama of Living. Ford models what he talks about with respect to lingering over important texts. Words should not be consumed (here Ford quotes Paul Griffiths), but we should “savor the words on the page…return to them ever and again.” It is akin to the point C.S. Lewis made in saying we have not read a book until we’ve reread it. Spurgeon reading Bunyan’s A Pilgrim’s Progress a hundred times is a good example. Ford’s book is written in such a way that I found myself wanting to slow down from my usual pace. Having O’Siadhail’s poetry peppered throughout was a constant reminder that The Drama of Living is unwise to speed-read. Though Ford is a well-respected Cambridge professor, his interaction firsthand with the suffering gives him an added credibility. Ford does not escape from wrestling with this thorniest issue of all. Indeed, David Ford and his wife have been closely involved with the L’Arche community for several years. The Fords love and care for the “least of these” is beautiful and adds a deeper layer to this terrific book. Another dimension to suffering is wonderfully laid out: that of aging and our eventual dying. Here he shares poignantly about his own father-in-law who happened to be a well-known theologian himself. Ford also shares insights from the death of Micheal O’Siadhail’s wife to Parkinsons. The insights on the power of love in these sections are truly breathtaking. Even though I find Ford exaggerating the multiple layers of meaning in John’s Gospel due to his underscoring its “dramatic” presentation, and even though I think Ford underestimates the scandal of the cross, reading his book was indeed time well spent. This entry was posted in Book Review, Christianity, Gospel on August 27, 2016 by Dave. This entry was posted in Character, Learning/Education, Quotable on August 25, 2016 by Dave. Which is why I’m asking for your valuable input on the state of the race and the issues you care about. This entry was posted in Politics on August 24, 2016 by Dave. Finishing up J.C. Ryle: Prepared to Stand Alone by Iain Murray. This entry was posted in Book Review, Quotable on August 22, 2016 by Dave. We love to invoke the Founding Fathers. It makes us feel good about our American heritage. We admire and say we agree with what they tried to teach us about character. They believed character among our elected officials was critical to governing well. Curiously, it seems many Christians have fallen off the planet with respect to this kind of thinking. We either are ignorant of what the Founding Fathers said about character, or worse still, we kind of know, but think it is no longer practical to expect it. I’ve seen many excuses among Christian leaders invoking, “We all are sinners” which of course is undeniably true, but using it as an excuse for expecting much of anything in our elected officials. If you expect more, you are dubbed a “purist” which is decidedly a very bad thing indeed! So here we find ourselves as Christians still paying homage to our Founding Fathers, but clearly departing from their collective wisdom. If that is true, and it is quite evident it is, how far do you think we have slipped away from biblical truths, in discerning what God is up to in the so-called political process? This entry was posted in American History, Character, Christianity, Politics on August 18, 2016 by Dave. Our kind neighbor killed this while we were at Princeton. 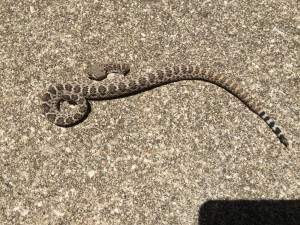 Second rattler killed in our backyard during our nine years at this residence. That’s plenty! This entry was posted in Uncategorized on August 15, 2016 by Dave. Satan is not omniscient. He is clever and I’m sure very observant. So if he sees how a certain person always goes for chocolate when they are discouraged, he gains some insight. Putting your struggles down on paper does not give him any extra power over you because his power is delegated by God. To use Luther’s phrase, “Satan is God’s dog.” Sometimes the leash is given more slack, but he never can do more than God allows. Anything he might “read” on paper he probably already knows by his observations and God’s permissive will. As C.S. Lewis said we tend to either give Satan too much power or too little. It’s tough to find the right balance, but remembering key teachings in Scripture is the best strategy. And Satanic strategies are what we are not to be ignorant of (see II Cor. 2:11). This entry was posted in Spiritual Life on August 15, 2016 by Dave.